It's quite rare for me to have my outfit pictures taken during school days, because (a) I don't have anyone to take photos of me (b) I commute so it's a bit of a hassle to get all dressed up and just end up in sweats and (c) I like being in t-shirts and jeans when I'm in school. Comfy is the way to go! I'm not sure when the scarf print started trending but I believe this is the first scarf print dress of mine. I love how bright and soft it is. Definitely fits my school OTD checklist! Little Nook really does have the best dresses. This is the third time I mention this. No kidding! :) Hands down! Support my Beb Ana's collaboration with TLTSN! If you like my necklace above, they will also be selling words like; LOVE, SWEETIE, FOREVER and PRECIOUS. :) Just a few sweet notes to let your loved ones feel special. 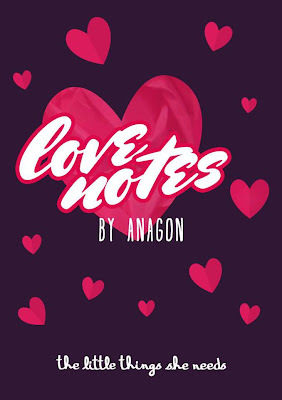 ^_^ Check out: ANAGON x TLTSN to get updates on this collection! COMING SOON! Love this post Ms Ava! :) I'm also a fan of Little Nook's products. They're so cute and affordable right? by the way where did you bought your belt? :) I love it! hehe! thank you! mwah! That's a beautiful necklace. I love it! And I love your blog! Specially the photos because they are so detailed and clear, I can really understand about your post. I followed you on GFC! Maybe you can come by mine too and maybe follow each other? :) Thank you for this post! I can't wait to read more of your posts. More power to you!